Happy Thursday, everyone! It is really sad that August is finally over. This means I have to get back to school next monday! I know some of you guys are really glad that August is over because it is really hard to withstand the heat! However, I really wish the summer could stay a little longer because I am still not really for school! For today post, I am so excited to share the collaboration with Zaful! 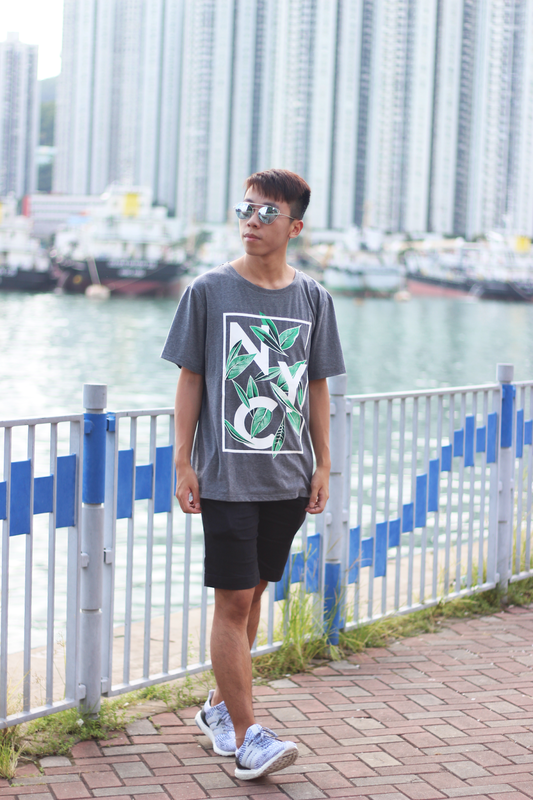 Anyway, back to the outfit, I really love this Zaful graphic tee because of the printed detail "NYC" and the leaves! In case you do not know, I really love NYC! It is definitely one of my favourite city of all time even though I still have never been there yet. Also, I really love the quality of it! If you want to get yourself one graphic tee, this is definitely a good choice for you! It is because it can goes with a lot of outfit! Do you guys love this look? Let me know on the comment section! Lovely Tee and great styling ! I'm kind of sad that summer is coming to an end as well. I always associate summer time with happiness, but I love fall fashion. I love a good graphic shirt. Yours is fabulous. You can't beat a bold graphic! Great look! So cool photographs, great post! This is a really great tee Daniel! I love the leaf design. Have a lovely weekend. Love the tee, Daniel! Wish you were going to NYC for Fashion Week as well! Love it, it's so casual but yet stylish! Such a great graphic tee. You look absolutely amazing, Daniel! Love your tee and shorts! SO COOL! Oh yea! Nice look! And I love your background locations too! cool shirt! it looks great on you! anyway, i hope you can drop by my blog too and follow if you like! saying hello all the way from the Philippines! Graphic tees are the best and yours looks wonderful! You styled it so perfectly!